After Episode Gladiolus and Episode Prompto, I wasn’t really sure if Final Fantasy XV‘s post-release scenario DLCs could hit the story mark. Solid gameplay and great soundtracks, but Episode Gladiolus didn’t offer much to its titular character and even less to the overall story. Episode Prompto flailed in another direction, burying exploration of his insecurities under a slew of important-sounding but actually-irrelevant plot twists. I felt it was emblematic, in a way, of the mothership game’s storytelling stumbles. The multi-player expansion Comrades, which seemed to entirely forget the timespan it was set in, and offered virtually nothing when it comes to the ordeals of the Kingsglaive and Lucian subjects living through a world shrouded in darkness during Noctis’s ten year absence. 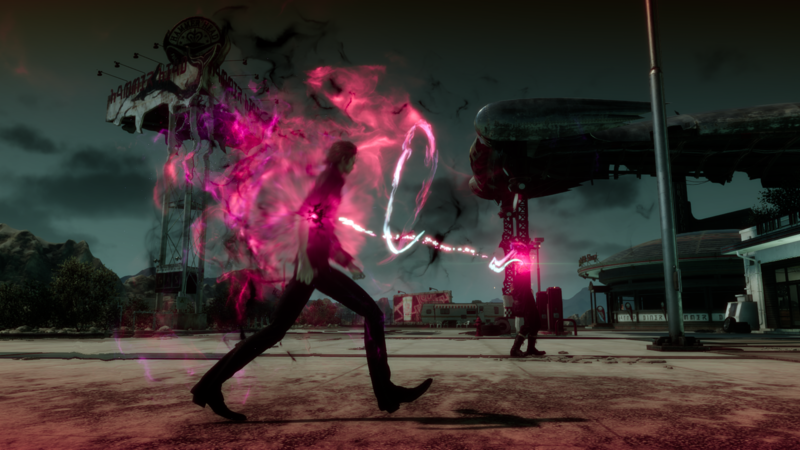 My expectations were pretty low on the story front going into Episode Ignis, but I want to revisit its focal character’s issues in the base game first. Still, even with all the banter and lines of camaraderie, the guys felt a bit empty wading through their lines. Often, this criticism gets swept under the rug as “it’s Noctis’s story”, and yes, it very much is, but the friendships he has forged are the foundation it is based on. If the foundation is weak, so is the rest. 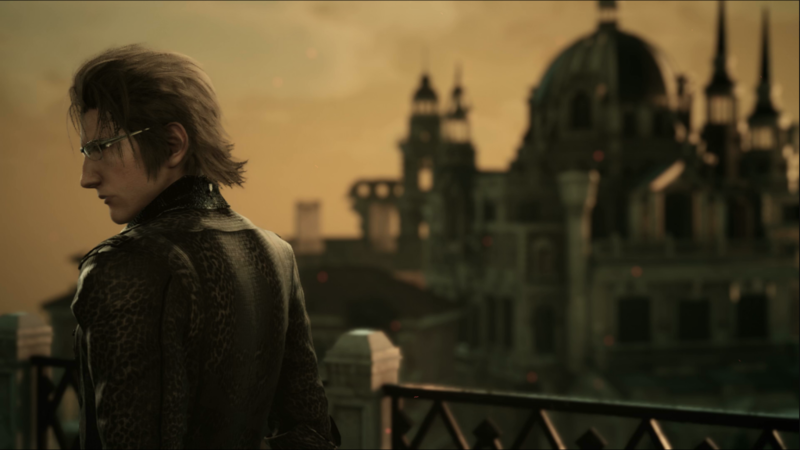 Episode Ignis didn’t hit its story notes perfectly (some of Ardyn’s actions are still inexplicable given what he wants to achieve, and are merely played up for the theatrics of mustachioed villainy), but it takes place at a pivotal point near the end of the story’s second act, and runs congruently with it — inheriting its agency. It feels important, urging you to keep playing. There’s some playful exploration here too in the form of an alternate ending that I found interesting mostly because it felt character-driven. The granular questions I had about what path led Ignis to his duty took a backseat to the scenes where — spoken or otherwise — the depth of Noctis and Ignis’s friendship becomes clearer. 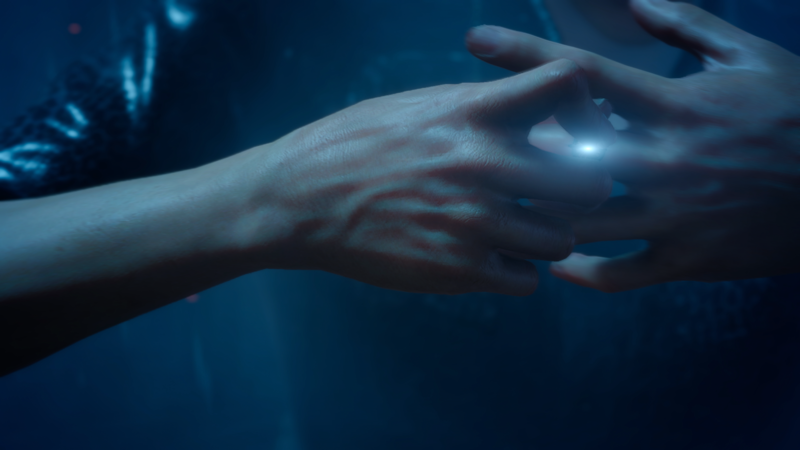 Again, I feel that this is the bedrock of Final Fantasy XV’s story, and it was nice to see that it was finally given some worthwhile attention. Shifting to gameplay, Ignis is an enjoyable to control in this outing. He’s able to imbue spelldaggers with elemental magic — each type is proficient in different situations. Fire magic for one-on-one fights, ice magic for tight groups of enemies, and lightning magic for wide groups of enemies where moving about is more important. 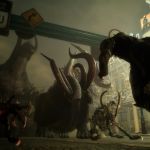 The situational awareness his ability set demands of the player lends to his role as the party’s thinker, and I really like to see when gameplay elements fit nicely with a character’s personality. 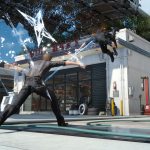 Ignis also makes use of a grappling hook to move over Altissia’s rooftops which was a neat twist on Noctis’s warp moves. I did run into an issue in subsequent playthroughs where I needed to reload after crashing through the map twice. A character you are supposed to follow through the map at one point got stuck on several occasions, preventing progression until a rest at camp un-stuck him. Episode Ignis took me a little more than hour to sweep the main path, and Extra Verse (the alternate ending) offers an additional half hour or so. 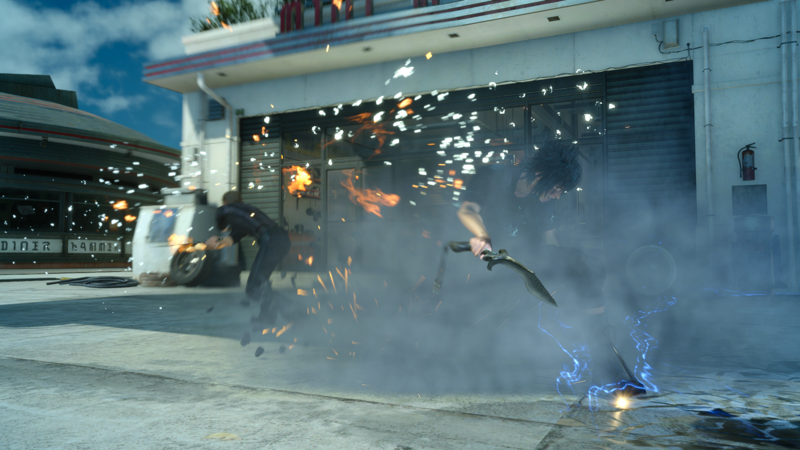 There’s an additional encounter where Noctis and Ignis have a sparring match, as well as a leaderboard where you can submit your score after completing the story. Like the other scenario DLC, there’s a good several to be had here if you want to play around with everything. 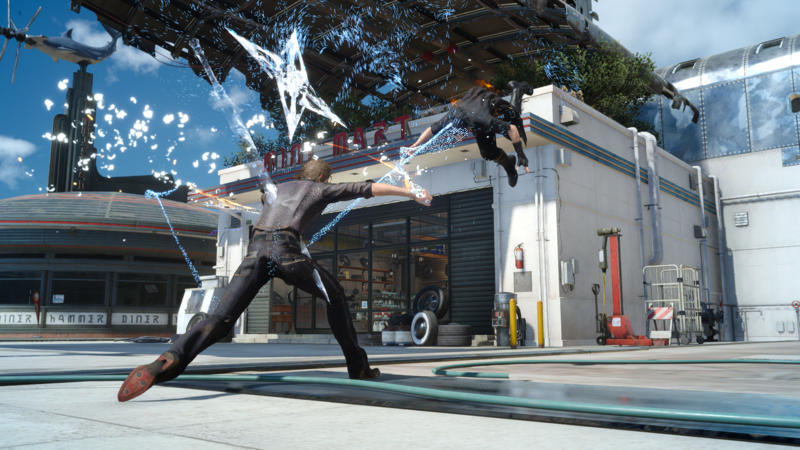 To sum it up, Episode Ignis feels like the strongest of Square Enix’s post-launch DLC offerings. A more interesting approach to the story, an enjoyable Ignis-themed twist on combat, a gorgeous soundtrack from Yasunori Mitsuda (who I could listen to for hours upon hours) all come together pretty well. 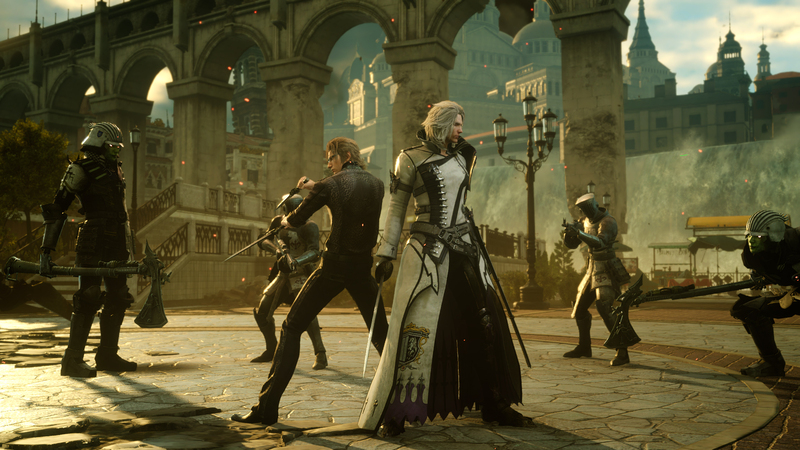 Square Enix has more planned for Final Fantasy XV as we head into 2018, including new scenario DLC — the first of which will be Episode Ardyn, so hopefully the approach taken with Episode Ignis will come through there. 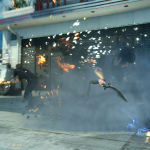 Final Fantasy XV: Episode Ignis is available for download on PlayStation 4 and Xbox One. It requires Final Fantasy XV to play. Those who have purchased the season pass will be able to download this DLC for free — otherwise it is $4.99 standalone. + Story feels important to the larger tale, more coherent character-driven scenes is what FFXV needed. 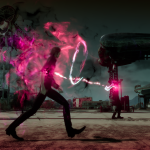 + Combat is enjoyable through Ignis’s ability set, setpieces are cool. + Great soundtrack composed by Yasunori Mitsuda. – Ran into some play-stopping bugs with the grappling hook and NPC pathing. Posted in Final Fantasy XV, Headlines, Reviews. Good review. I haven’t played the dlc’s and I won’t pay money for them out of principle, but I’ve watched playthroughs of all of them and it seemed to me that this was the best one by far just for this simple reason: ”Story feels important to the larger tale”. And playing as Ignis is fun. But the issue I have with it is with its story. The pacing felt a little off or rather rushed. Like there wasn’t enough dialogue or something. Did you get that feeling too? Everything kinda just went by really fast. I like Ardyn and Ravus a lot more now. 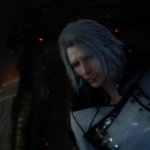 Honestly, I think that Ravus and Ignis ended up being good friends as years pased xD Ravus DEFINITELY needs someone that can understand him, and who better than Ignis, that saw him at his worst. …they have a lot of grounds for their friendship. who tried on the ring of the Lucii and lived. And yeah, poor Nyx… I’m never going to be over what happened to him. And to think that, when I first knew of the movie, I thought he was just going to be a character I wouldn’t care about… I was so wrong :/ Well… At least in that alternate universe Nyx and Luna will have each other’s company in the Afterlife until they all reunite (?). I know that many times I came here and used this space to be able to criticize the defects of the game. But with this DLC I will not do that. I only have compliments for the Ignis episode. The scenery is beautiful, the dialogues and cutscenes are good. The best DLC so far, I really liked the alternative end, wonderful, point for Tabata and his team. Stupid, perhaps BUT.. is there now a possibility one of the timelines could save Nyx ? He was in the Throne room as a puppet trophy, anyways! I still think he serves purpose ? About the throne, they were illusions in the end though. 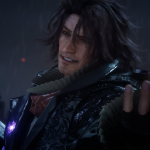 And I think that’s a good thing because, oh gods, Ardyn sure is twisted due to madness and hate, but I think that could be too crude/tasteless even for him (and in fact I’ve even thought more than once that maybe some actions and hatred we see from him are just an act to make himself be hated). But the illusions were in fact all dead. That would’ve been a great twist if we had to fight the corpses. The Niflheim guy you see there I think it was Aldercapt if I remember well. And in fact, it’s… kind of interesting to see the ones Ardyn picked, given the fact that now we know that the bros knew there was no Luna corpse, nor Aldercapt’s (because they killed him after he became a Daemon), and that Regis was already buried. I mean, if the bros didn’t know all this, they would have probably feel more impacted. I’d love an Episode Aranea to explain what happened specifically while she was serving Niflheim to make her decide to leave and become a Search and Rescue volunteer. We need more content about the Empire. I think she decided to leave because she’s never been too fond of Magitek and things got to a point she didn’t want to be involved anymore, or something like that it was. But yeah, seeing more Aranea would be nice, and it could be a perfect excuse to see more things about the Empire. I don’t know if I would choose her over other characters for a DLC, though. I agree. They also had the chance to work on Episode Ignis the longest! I was glad Ignis at least acknowledged Nyx in the DLC too. Prompto’s side story also helped progress the main narrative as well. 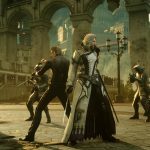 At least in regards to Prompto’s back story, what happens to his dad, and a bit more on Aranea. 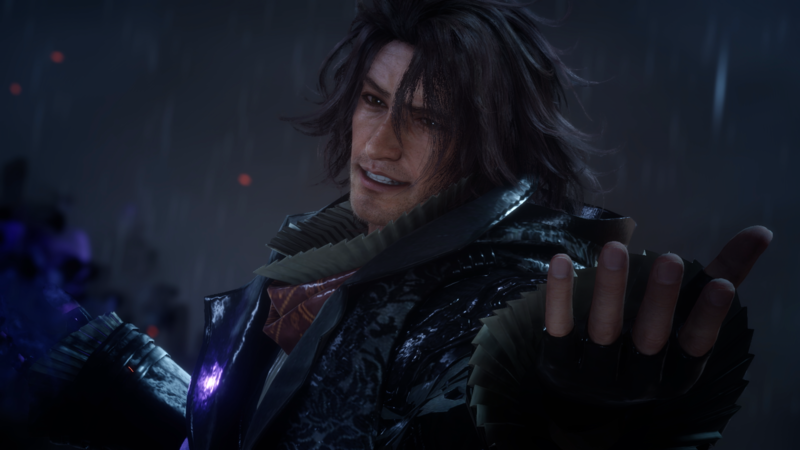 But Ignis’s story is by far the most well handled as well as impactful due to it connecting directly with Noctis, Luna, Ravus, Ardyn and even Nyx. The bonus costume is by far the worst, and all the DLC weapons so far have sucked, though the fact his spell daggers auto attune to the enemies weakness is kinda nice. If we could upgrade the dlc weapons or raise their stats or something to make them useful would be nice. Justice V raises some great points. Cid’s mechanical weapon upgrade system is highly favoured, pretty sure he did something similar in the main game when you gave him weapons but you can see physically see the changes (in Comrades) and also the remodelling process which gives it more weight! 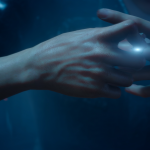 I understand how the chocobros wouldn’t have known who Nyx was but provided Ignis got shown hallucinations thanks to Pryna, and Pryna’s always next to Luna (the one who saw Nyx use the ring), it would make sense Ignis would take about it, or atleast Noctis out of the 4 chocobros! Yeah. Feel like Gladio would have known just because of his family and the role he had before going on the adventure (fighting in the war and such). 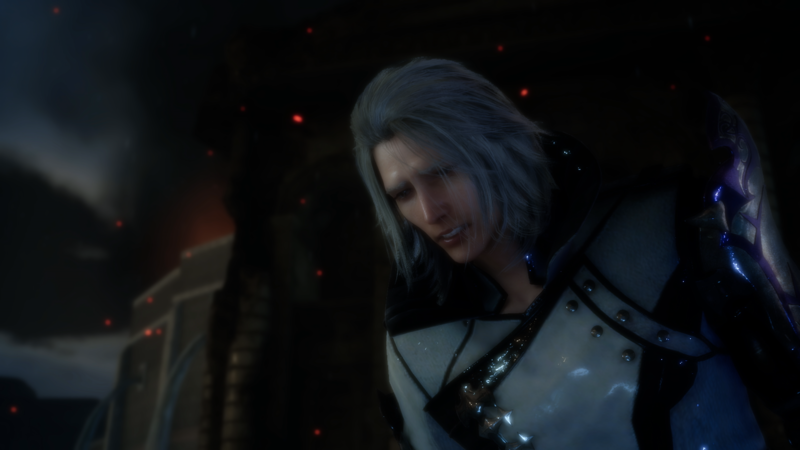 So he most likely would have known some of the Glaives if not at least their leader (Glauca) and the ‘Hero’. Even in the main game the designs changed slightly I think, but not nearly enough (in my opinion). Turning weapons gold to show them as stronger is kinda lazy. And for a game that has such high levels of detail and expansive world they really dropped the ball on weapon variety and clothing variety. (granted on the clothes the amount of movement and physics involved I can understand a bit more on the lack of diversity). This DLC is very well done. My favourite is still Prompto (solely because I prefer Prompto over Ignis, and EP Pr has Aranea), but to be fair, Ep Ignis is the “better” one. 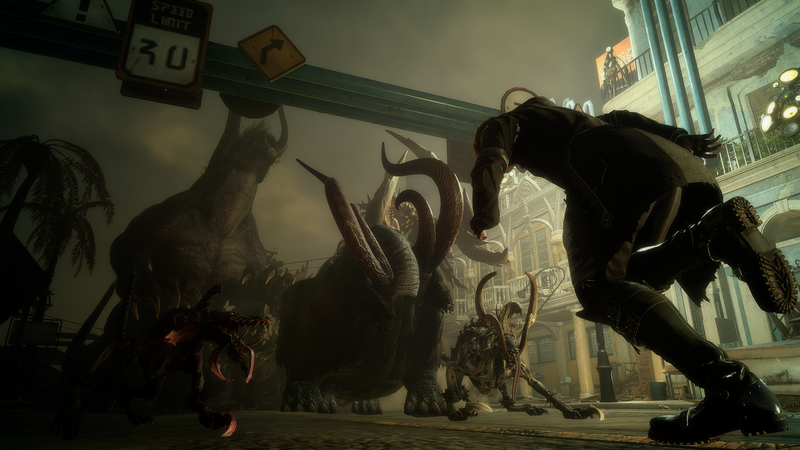 Ravus was badass, which was…unexpected. Also, the soundtrack and Altissia were beautiful.